Register your interest today – the first 200 registrations will go into the draw to win a copy of Emgoddess free. Sharon is the Founder and Director of Emgoddess, a unique entity focused on changing perceptions and attitudes towards a topic not overtly discussed – a woman’s monthly cycle. Today she is driven to change the negative attitudes towards women’s cycles by creating a way of looking at the cycle as a positive thing. 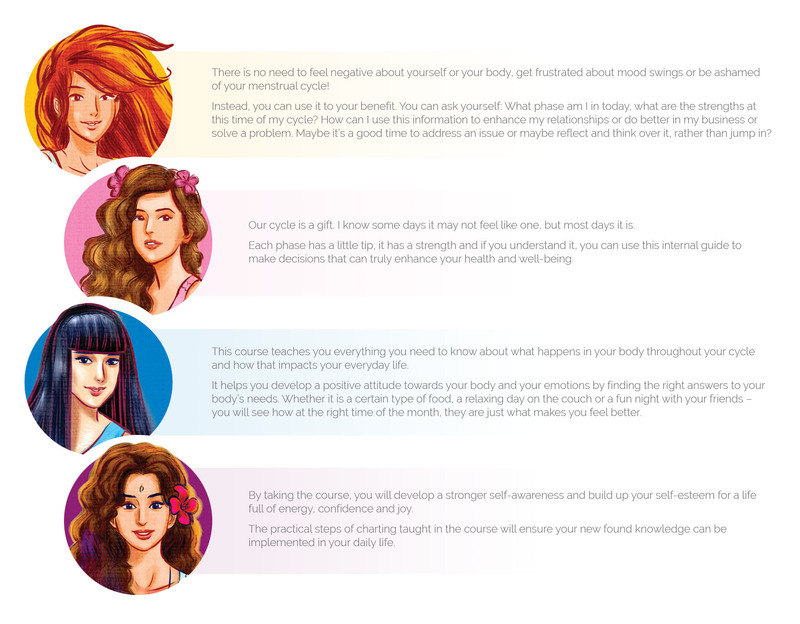 The Emgoddess program she has designed not only establishes deeper insights and understandings, but creates a language and point of reference for both males and females to engage in the philosophy and surprisingly have fun with the concept. Today Sharon’s innovative Emgoddess model and philosophy is the key to unlocking the secrets of the female body whilst at the same time helping others to discover just how amazing they are. Find out more on how you can feel empowered and in control, register your interest today and be the first to receive the online course.